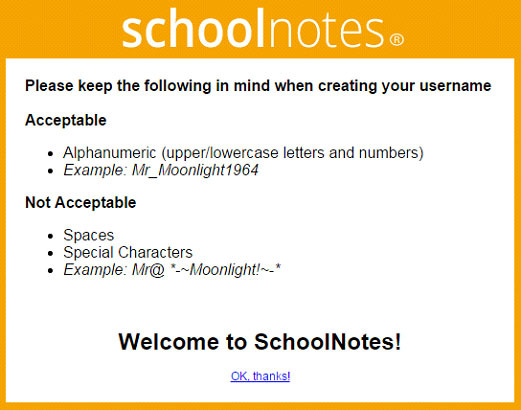 To migrate (move) your current SchoolNotes page(s) over to the new site, please visit http://New.SchoolNotes.Com and, if you haven’t already, create a new account. 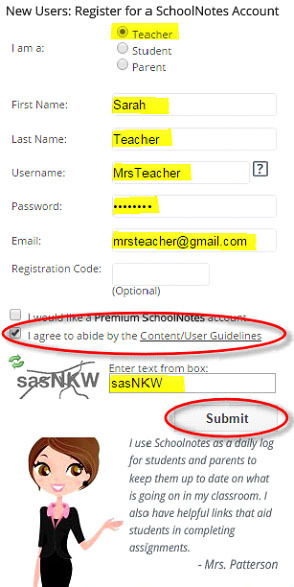 Fill in each section and be sure to check the ‘Content/User Guidelines’, enter the captcha and click ‘Submit’. 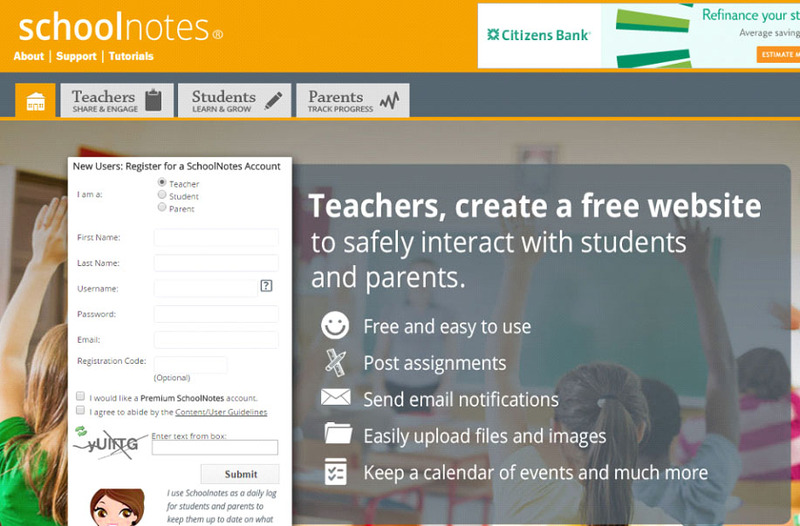 Once you have succesfully activated your account you will be ready to migrate your Old SchoolNotes pages over to the new site. 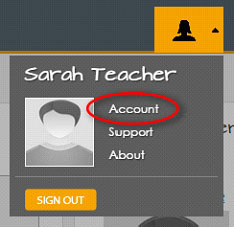 **Please Note** Once you have migrated your page(s), your Old SchoolNotes account will be gone. With technology, it's always a good idea to cover all your bases; as a precaution we recommend backing up any content or information that may be housed in your Old account, just in case something happens during the migration. Once you click ‘Import’ to bring your old account over there will be no way for us to retrieve any information from the Old site. Next, select the ‘Import Pages’ tab. 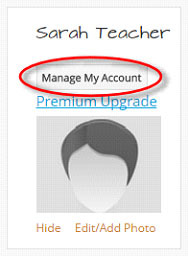 You will then need to enter in your Old SchoolNotes account information, select Import and you are all set!